Thank you liberals, for all you have done. 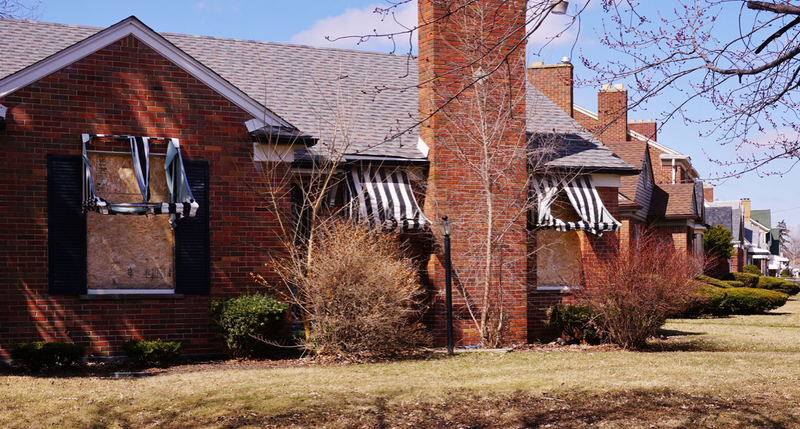 Today, March 31, is the deadline for property taxes to be paid on 62,000 Detroit homes else they will be owned by the county, in this case the County of Wayne, Michigan. Granted only 18,000 of the delinquent homes are occupied but assuming a three-person household that’s about 8 percent of the city’s population which is now down to 688,701. In 1950, it was touching 2 million and Detroit was considered one of the world’s great cities. What happened? Democrats. Motown was run by Republicans in its glory day up until 1962. Property taxes, of course, are a local tax used to fund services such as police, schools, and spa massages for the mayor. For what it’s worth, Detroit public service retirees expecting a stable financial future have already taken a big hit. It’s something Pennsylvania public workers ought to recognize in working to resolved this state’s existing crisis. In any battle between ink on paper and reality, reality wins. Computer hackers last April captured Detroit’s database and demanded a ransom to unfreeze it Mayor Mike Duggan revealed, Nov. 17. Did Detroit pay the ransom? Did the hackers unfreeze the database? Did the city unleash a racially and sexually diverse team of highly trained politically correct agents to foil the hackers and get its data back like some kind of TV show? The city just sort of ignored things and let life go on. And you thought Starnesville was just a crazy thing Ayn Rand cooked up to upset liberals. With 300,000 Detroit residences behind in their water bills, the city’s — note that’s as in something controlled by the Democrat-ruled city — water department has begun to cut off the tap. Last month, service was killed to 4,531. The last time the city shut off water was a decade ago. The “caring” crowd is outraged. The United Nations has chimed in saying the Democrat-ruled city which is on one of the world’s largest fresh bodies of fresh water is violating international standards. The Los Angeles two days ago, June 28, published a long piece bemoaning the cruelty. The subject of the piece was $5,754 behind in her bill, but never mind that. Oh, the humanity. We have a solution. The Koch brothers and the country’s saner billionaires should get together and cover up the past debt and give all these victims of government — note that is Democrat-controlled government here — a chance to start over. They should have one caveat, however: the city must be renamed Starnesville. higher murder rate was higher than world-leader Honduras. And in August 2012 it lost its police department. Camden County officials dissolved the entire city force and replaced it with a new one unburdened by existing union contracts. So what has happened? The murder rate has fallen by 22 percent and crime overall is down 15 percent. More police are on the streets and new technology such as ShotSpotter rooftop monitors have been introduced. When progressives are beaten hope blossoms. Half Detroit Residents Illiterate — Yep. 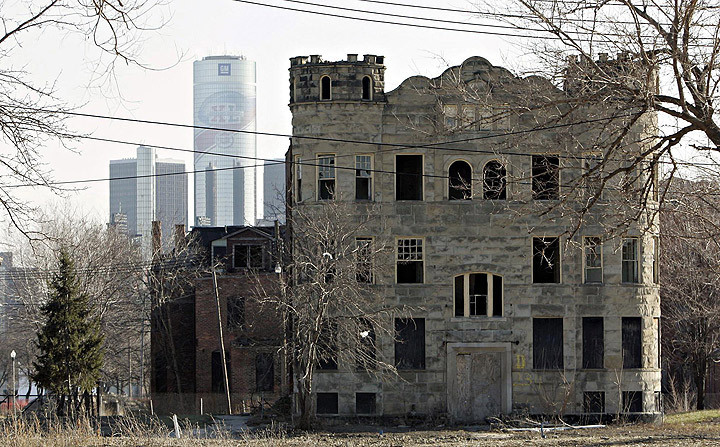 Half the residents of the bankrupt city of Detroit can’t read. Thank you Democrats, liberals and progressives of all stripes. Detroit Is Starnesville — A fifth of the lights are out along the freeways of metropolitan Detroit because thieves have stolen their copper. “Will the last one to leave Detroit please turn off the lights?” LOL. The police department for one of the nation’s most dangerous cities has been disbanded due to budget woes and maybe things might get better. It wasn’t as thought the existing structure was keeping the streets safe in Camden, N.J. The city will now be patrolled by a new — and non-union — division of the Camden County Police. When things are as broken as they were in Camden the only really stupid thing to do would be nothing. Fewer than half of the city’s 460 police officers will be transferred to the new department who will join new officers. Camden has a population of about 77,000. Compare that to Upper Darby, Pa., — not so far away and bordering West Philadelphia without the luxury of major river border – which has a population of 81,000 and 135 police officers. Will the last one to leave Detroit please turn off the lights. Maybe it’s not a joke. Mayor and one-time NBA star Dave Bing, whose basketball card I think I still have somewhere, is proposing to turn off half the street lights leaving huge swaths of that depopulated urban wasteland in the dark. It sounds like a setting for a Snake Plissken movie or an apocalyptic video game. 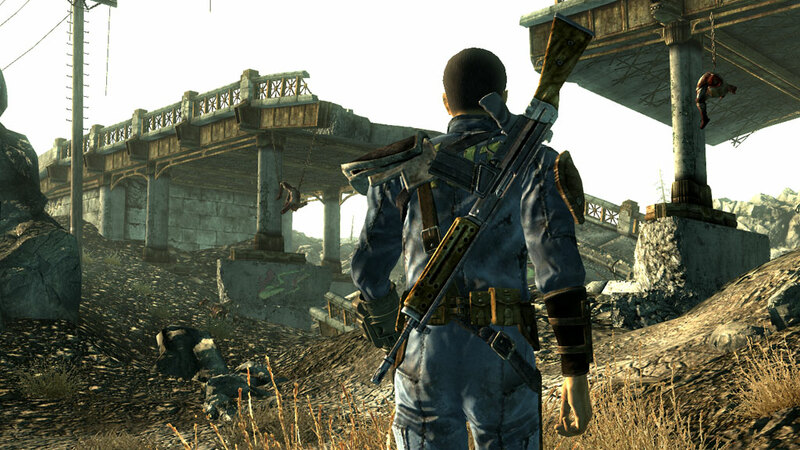 Call it Fallout 2012: Detroit. 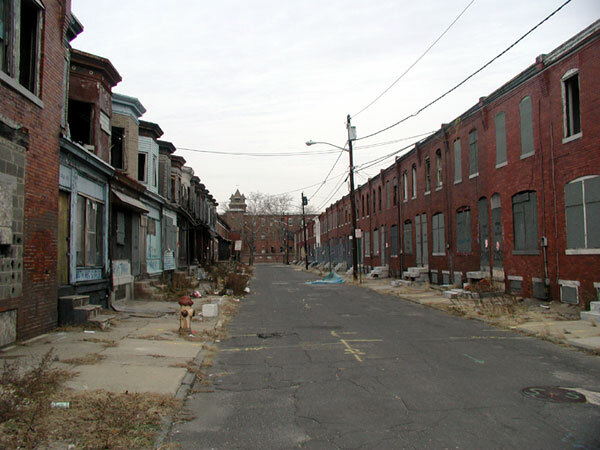 The city which once built the world’s cars and had a population of 1,849,568 in 1950 is down to 713,777, most of whom are on some kind of government assistance. It is the only American city to fall below 1 million in population after reaching that benchmark. Actually, more apt than Snake Plissken is Ayn Rand whose book Atlas Shrugged featured a place called Starnesville, a Wisconsin city that was once a thriving, modern automotive center and that had devolved to a pre-industrial state. Yes, Detroit can be called Starnesville. Here is the solution: break off the sections that Bing wants to abandon and incorporate them as boroughs of three square miles unencumbered by the city’s existing union contracts and liabilities. Let the residents elect their own sheriffs for law enforcement, organize volunteer fire and ambulance companies for emergency services and handle education through a straight state-funded voucher system of $5,000 per child. Things can’t get worse there hence is a perfect opportunity for some experimentation. For a lark name one of the borough’s Starnesville.